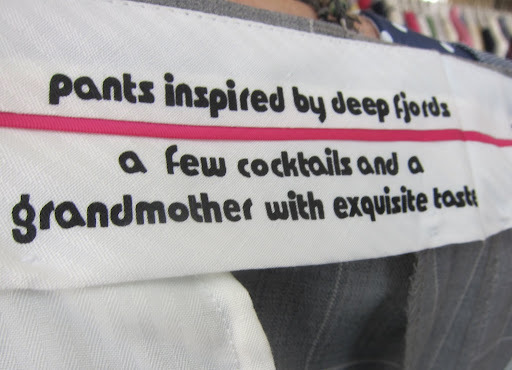 I really like this line created by Moods of Norway. They nail color with a wit and humor that makes me proud of my Norwegian roots. My family is from a town called Tynset, whose name my great grandfather anglicized and took for his own when he settled in Duluth. It never fails to amaze me why so many Norwegians immigrated to Duluth when Florida was available. I showed up at a penthouse owned by the Norwegian consulate. In all honesty, I was a lot more interested in seeing the Penthouse. 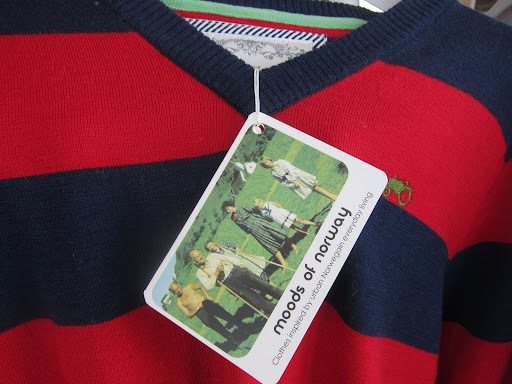 But Moods of Norway won me over starting with this light Summer sweater. Who's gonna wear a sweater this Summer in NYC is another question but it should rock their world in Duluth. Victor Skepp is head of sales and he tells me the line is popular with bands. I can see that. 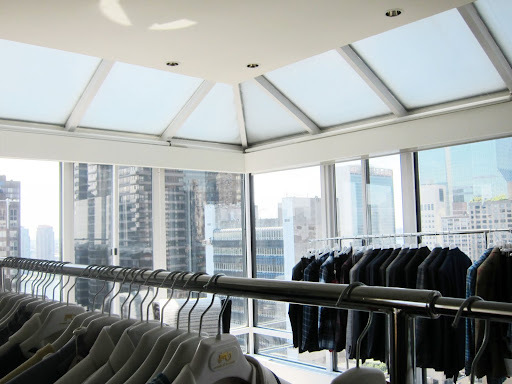 They don't have a store in NY yet but work outta their flagship in Los Angeles. I don't like Los Angeles but it's gotta better than Duluth. 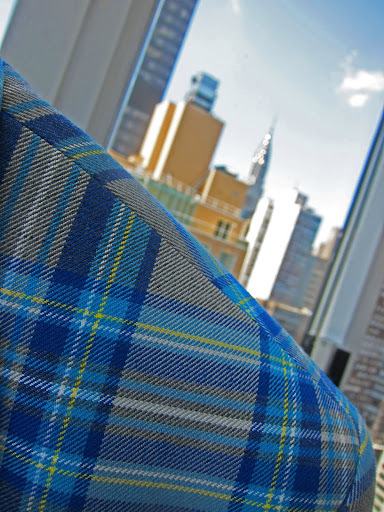 This is a three piece suit in blue plaid. Not for the weak of heart but I think Paul Weller could pull it off. There's some, okay, there's a lot of gimmick going on but it's all in good taste. Mostly. I doubt this but they swear it's true. They're big on tractors in Norway. I didn't know that. There's a lot of things I don't know about Norway or Duluth. And I'm okay with that. I guess the hang tag tells the story. 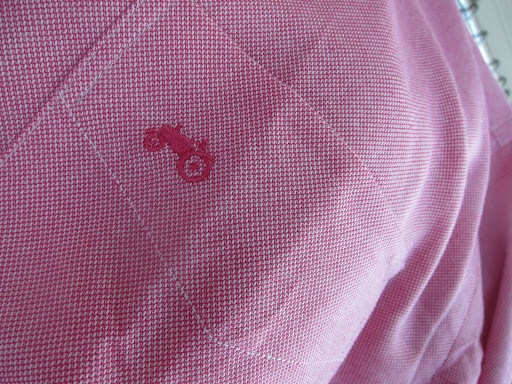 Although, I read somewhere that if clothing depends on a hang tag telling a story ... you're in deep herring. 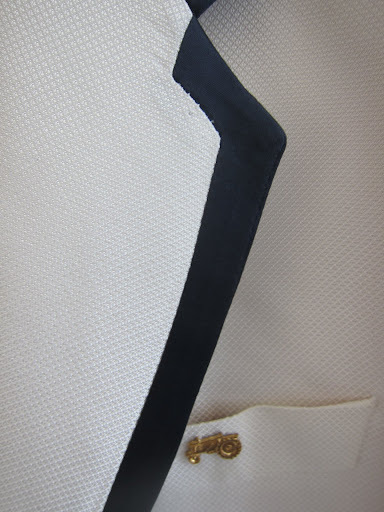 Here's a shirt sleeve with a turn back cuff. Not to my liking but you might find it awesome. This would be perfectly acceptable in a place of business. And that tractor is growing on me. The lack of pretense is refreshing. My dad tells me Duluth isn't so refreshing. He told me when he was a kid his pee froze before it hit the ground. And in the Summer the mosquitoes were so big they had landing lights. I have to get to Duluth someday. And to Tynset too. Until then, I'm happy to see the Norwegians breaking into the NYC fashion scene. Uff da, baby! Here's Stefan Dahlkvist, co founder and Victor Skepp. You can't get more Duluth looking than these guys. You're Norwegian? You might like Miss Whistle's blog in that case. And I do wonder what she'd think of these clothes:). Paul Weller could pull this off. Ha! Love it. The first image is SUPERB! As of 2 days ago there was a ton of their stuff for cheap at Century 21. 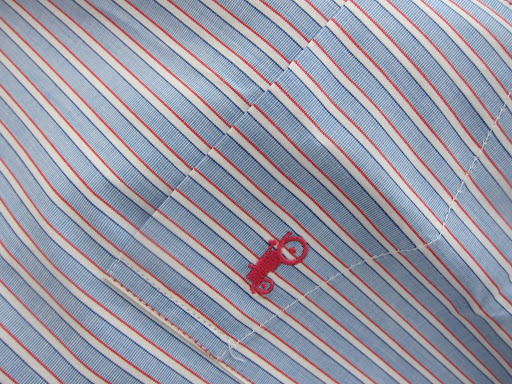 I'm sure it's still there, and they had some crazy silk patterned sportcoats IIRC. Sadly I think 40 was the smallest size otherwise I was ready to jump on one. I've often wondered why immigrants settled where they did. Part of my family settled in Western Maine from Lithuania - the only thing I can think of is that it reminded them of "home" or that's where they money was at the time. Probably the latter. 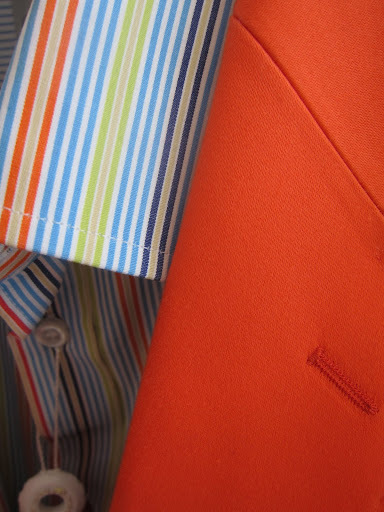 Bright colors - they seem to do red/white/blue really well. I think you called me weak of heart. I have never considered myself such but maybe I'm finally old enough to go to the doctor and have the ol' ticker checked out. I think I would like the penthouse better than I would like the plaid. I have a cousin who enters his tractors in local tractor pulls. He would wear that jacket. You are in fine company, Mr Trad; I believe Mr Robert Zimmerman also left Duluth. 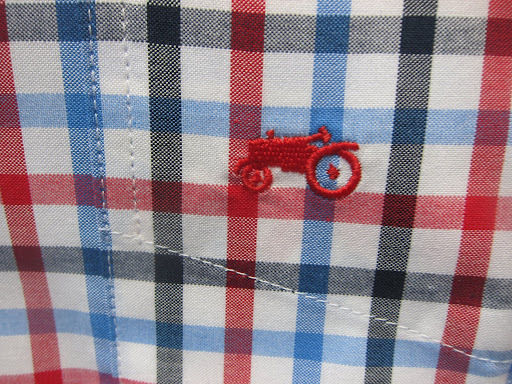 Love the tractor logo. The clothes not so much. And the two gents here look like members of a Spandau Ballet coverband or soda jerks in a self-consciously retro burger joint. and no Tin, Duluth beats L.A., trust me. LPC- Is that so hard to believe? Thanks for the mention of Ms Whistle. She looks like a good sort. 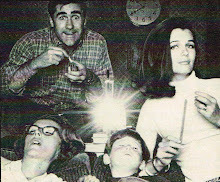 Alice - Weller's the stuff. Funny how damn few Yanks know who he is. Kyle- I can't stand Century 21. It's a zoo but you knock yourself out. Good hunting. Silk Reg- One reason is the RR station in New Jersey that was a short boat ride away from Ellis. If the train didn't go there neither did you. Bro- I know I owe some stuff. Hold on. Geez, I thought when you mentioned 'penthouse' you were talking about the magazine. Utterly Crap- At 6. But he didn't get far. 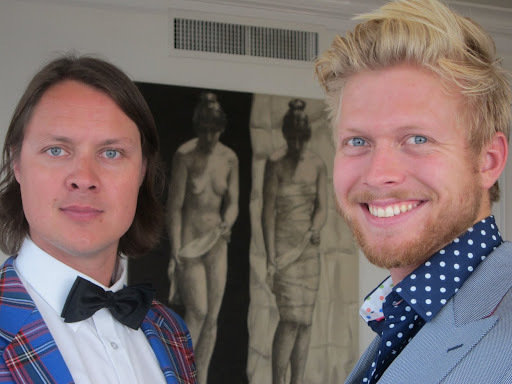 GSV- "...the two gents here look like members of a Spandau Ballet" Sour grapes? Zambo- "...no Tin, Duluth beats L.A., trust me." I thought it might. the magazine? Why is it every time I comment here I momentarily forget who it is I'm dealing with? 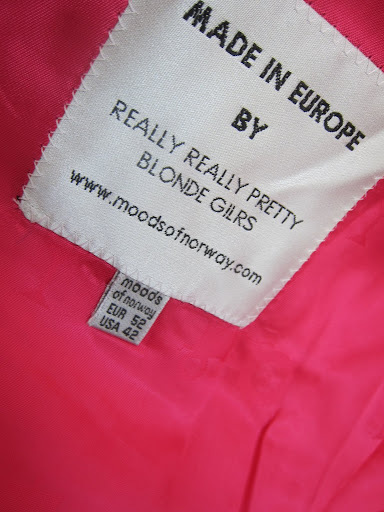 "Really really pretty blonde...GILRS"? Is that a Scandanavian thing, like Sasquatch? I love all of those, and will acquire several as soon as possible. As for why the Nordic folk settled the upper midwest and west (Dakotas), there was plenty of available land with good rail access, they knew how to deal with abbreviated growing seasons, and they already had cultural mechanisms and customs that dealt with the realities and the expectations of a long and harsh winter. Florida would also have bristled their Lutheran sensibilities. I was born in Duluth and have spent many great times there. I have been to LA. Give me Duluth. Any time. My great grandpa came over from Norway in 1898. Florida wasn't so great then. Hell, when my grandparents moved down to Florida in their late 70s they hated it. Too warm. I love these clothes. Well not the suit. But I am getting some. We have to represent! 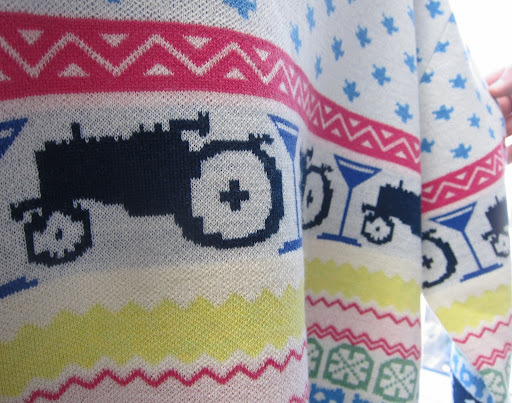 The sweater with the martini and tractor motif is about as cool as it gets. Gives the term "getting plowed" a whole new meaning. Driving into Duluth, coming up over the hill and seeing the city and harbor spread below you is perty dang cool. Roxy Music > Spandau Ballet. Doesn't "Spandau Ballet" sound like a euphemism for some particularly savage sexual position? 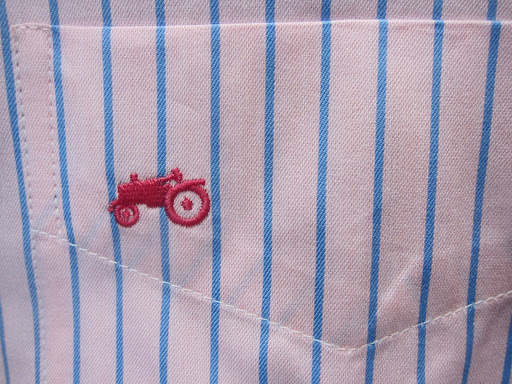 Or is that the "Red Tractor?" GSV- You mean like a frombe with a bean flick? 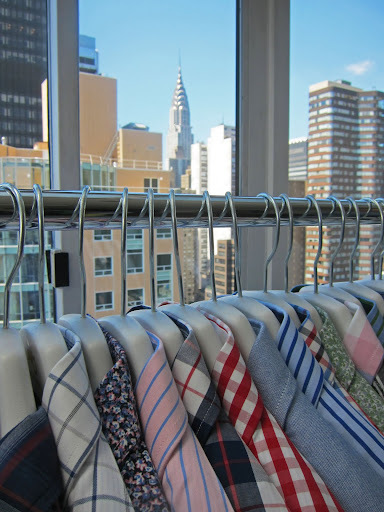 Some of this is so Michael Bastian!